Navigate to the folder you want to save the email to. 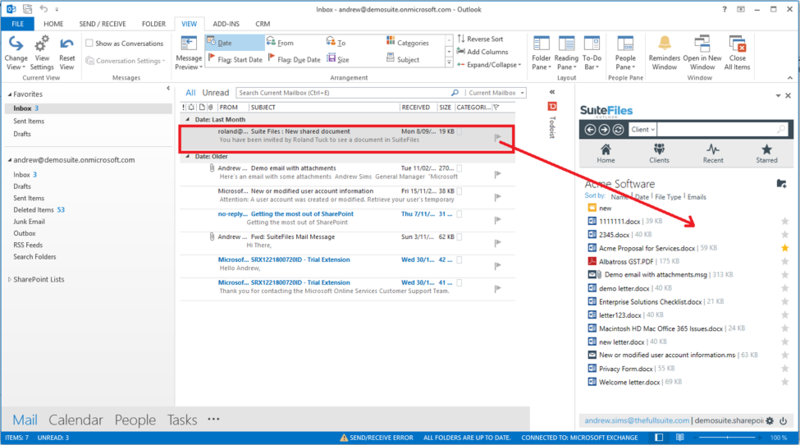 Drag the email from Outlook into the selected folder in SuiteFiles Outlook. The file will upload directly into SuiteFiles. 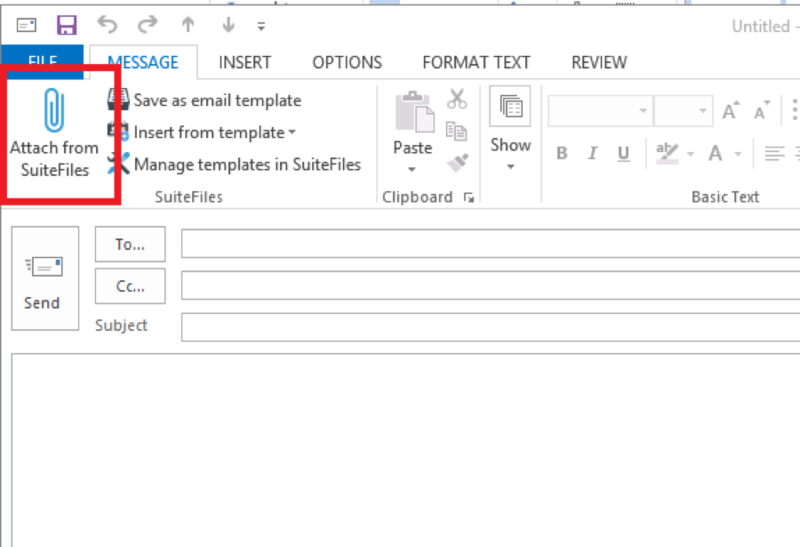 You can save attachments from emails in your mailbox and also any attachments you have in an email you're drafting up. 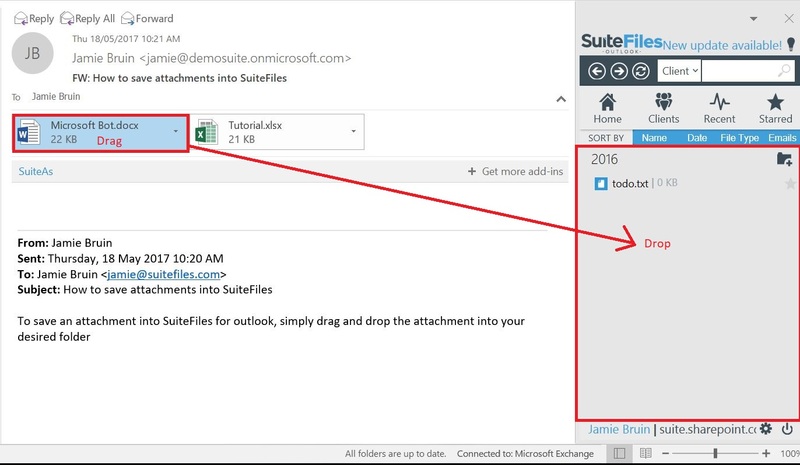 When sending an email you often want to include attachments that are stored in SuiteFiles. Navigate to the folder where the file is stored. Click on the file name. The file will upload and you can navigate to other folders and select other files to upload. Note the notification in the top right of the screen stating the file is being uploaded. Click the x at the top right of the screen to close the form. Continue to create the content of your email before sending.